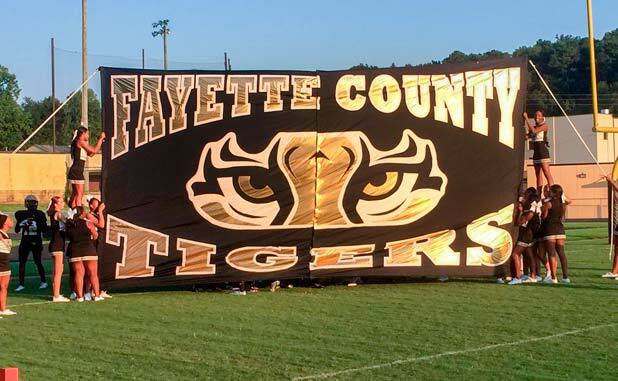 The Fayette County Board of Education on Oct. explored a host of long- and short-range facility projects. The board on Oct. 17 identified four as priorities to move on. The Oct. 13 discussion was for information purposes only and came with no time frame for action. The school board on Oct. 17 decided to move ahead on an auditorium for Fayette County High School, a storage building for Starr’s Mill High School and a multipurpose building each for McIntosh High School and Whitewater High School. The $5.5 million auditorium for FCHS was a future ESPLOST (Education Special Purpose Local Option Sales Tax) project that the board decided to move on now. “We’ve promised FCHS an auditorium for 20 years,” Chairman Marion Key said in support of the board’s desire to build the structure. The estimate for the 5,000 sq. ft. storage building south of the stadium at Starr’s Mill is $150,000, the 5,000 sq. ft. multipurpose building at Whitewater High is estimated at $1 million while the 9,000 sq. ft. multipurpose/classroom building at McIntosh is estimated to cost $1.7 million. The school system currently has $7.5 million for capital projects. Staff will determine if other funds are available and if projects can be combined to save money so that other projects might be added to the list of projects to move on. The Oct. 13 discussion, which came with no action taken, included four other proposed short-range projects and two described as long-range. There were no timelines involved and funding would have to be arranged at some point in the future. • the performing arts center at $30-40 million. The performing arts center was proposed earlier this year by Superintendent Jody Barrow. 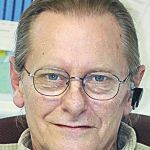 The proposal to have local governments participate in the venture via funding from a special purpose local option sales tax first got put on hold from the cities and county and now is disappearing from their SPLOST lists. The latest to remove the arts center funding is the Peachtree City Council, expected to vote this week for a revised list that doesn’t include the arts center. There were only two long-range projects discussed at the school board meeting. One of those included replacing the Booth Middle School gym and locating it behind the existing gym. The 20,000 sq. ft. project carries an estimated cost of $4.5 million. The final long-range project dealt with the potential for eventually moving administrative staff stationed at the Lafayette Education Center on Lafayette Avenue to the old bus barn property behind central office on Stonewall Avenue. The 80,000 sq. ft. project is estimated to cost $14 million. The central office location is a part of a larger 75-acre area where an expanded downtown Fayetteville area might eventually take shape. Previous articleWill Fayette BoE resurrect Tyrone Elementary School?